This is the story of Lieutenant Henry, an American, and Catherine Barkley, a British nurse. The two meet in Italy, and almost immediately Hemingway sets up the central tension of the novel: the tenuous nature of love in a time of war. 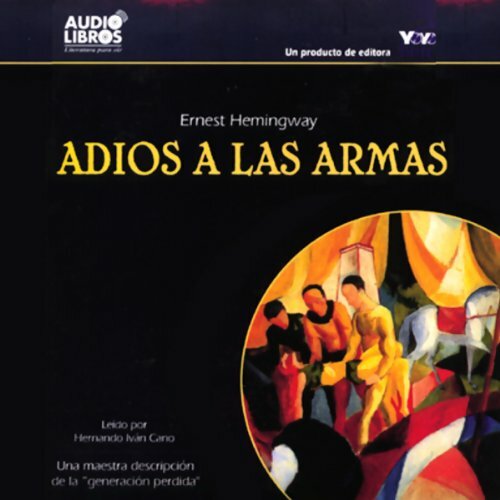 If you could sum up Adios a Las Armas [Farewell to Arms] in three words, what would they be? Es un buen libro, pero no es lo mejor de Ernest Hemingway. Creo que la historia está sobrevalorada, llega a parecer "telenovela" cursi y predecible en ocasiones. Y los diálogos no son tan creíbles, especialmente los de Katherine. Sin embargo, la narración en español de Hernando Iván Cano fue estupenda y totalmente recomendable.